Coolest pre-rolls in the pack. Nobody will suspect this Higg pre roll is filled with 100% cannabis. It's good buzz meets good fun. Hey, all you reminiscing types. Remember in the 80's and 90's when people openly smoked cigarettes in public places, and inside restaurants, bowling alleys, etc, etc. 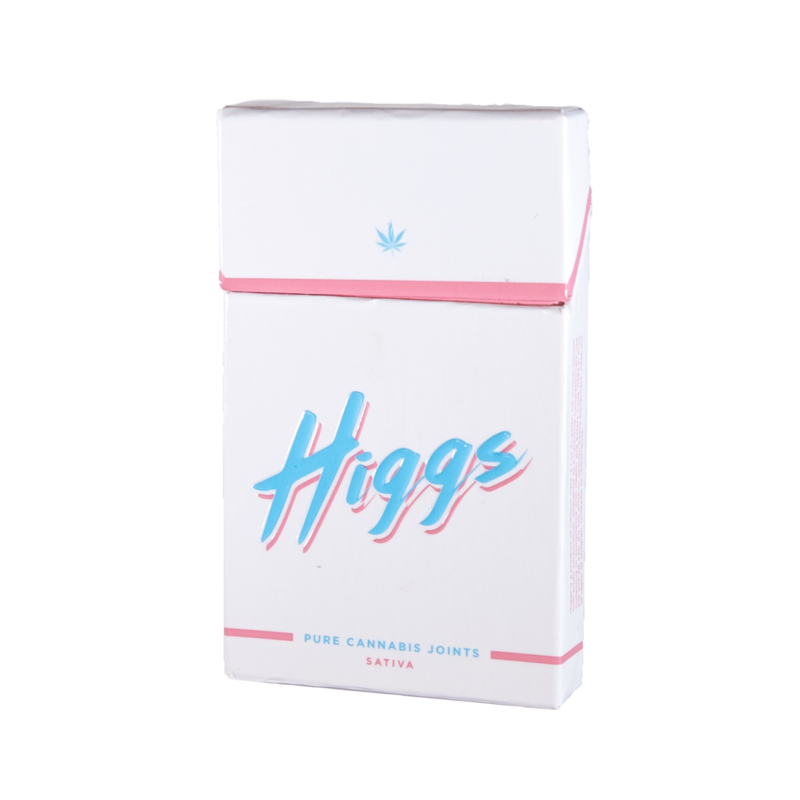 Well, these Higgs Pre-Rolls are a throw back to that era. They are rolled in paper similar to a cigarette, only they take out the cigarette filters and replace them with proper joint crutches so they smoke like joints and won't remove any of the THC. Higgs are also packaged like a pack of cigarettes (down to the cellophane wrapping) and marketed to the super hip and interesting. So, it begs the question. Is it a cigarette or a pre roll? That's for you to know, and everyone else to find out. We can confidentiality tell you there is no spin, aka tobacco, in these pre-rolls. Higgs are 100% all cannabis flowers. We reviewed both the sativa and Indica, and had different results for different users. Overall, we recommend puffing these pre rolls verses dragging on them. Great for going out, parties, and concerts. They look inconspicuous and will only be recognized by smell. It's also nice Higgs do not create too much smoke, which tends to be a general pre-roll problem. They do taste a little like the paper, that's not a huge issue, but worth noting. We recommend this one, especially for around town and when trying to be discreet.